I don't have to remind all of you that I'm a thrift store junkie. I'm always on the hunt for cool display items for my fair booth. I was in my glory!! So, I wiped it down with a lick and a promise and sprayed myself silly with glee! Isn't that the cutest display shelf for Bless My Nest Shop? I think they will make an adorable display for my earrings. 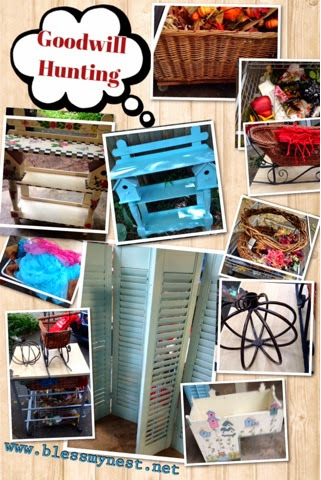 Great for storage and the wicker sleigh will be a great display at the Holiday Fairs! Fabulous tulle items to use for decorative pumpkins and witch hats!